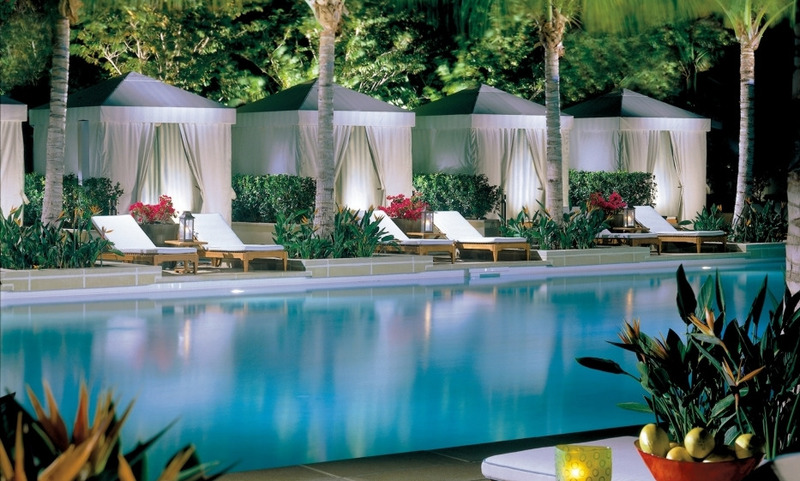 Located on Brickell Avenue, Four Seasons Hotel Miami glitters with sophistication and world-class luxury, just a block from Biscayne Bay in the heart of downtown Miami. Discover its eclectic design mixing tastefully art deco architecture and an exciting fusion of South and Central American, Caribbean and American influences. Do not miss the urban oasis on the 7th floor with its pools, lounge chairs, cabanas. Comfortable hotel in-line with what you would expect from this hotel chain. Beautiful pool and gymnasium.